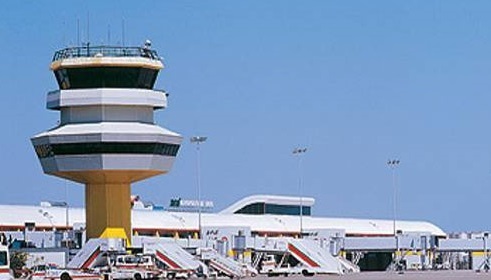 Faro Airport, commonly known as Algarve Airport (IATA code: FAO) sits just outside the Portugal city by the same name. The airport sees most of its traffic in the summer months, as passengers utilize the seasonal routes connecting to Hamburg, Belfast and London. Faro Airport processes just over five million passengers each year on the single runway and passenger terminal. Faro Airport opened up in 1966 and experienced a new terminal building in 1989, followed by the expansion of the passenger terminal in 2001 to accommodate the larger volume of seasonal traffic. The steady growth of incoming passengers has created a need for more space – Faro Airport is currently under improvements on the runway and terminal. Despite seeing most of its passenger traffic between March and October, Faro Airport provides a range of services and amenities to visitors in the form of shops, restaurants and passenger services. Quick snacks and Portuguese specialties are sold in various kiosks around the terminal. Various points of interest are marked to provide ease and convenience. As Faro Airport experience a high volume of passengers during the summer months, travelers are advised to pre-book car hires and avoid long queues. Bookings can be made over the phone or by the car hire’s website in a quick and safe manner. Browse the online selection to find a car hire suitable for any budget or size need. Find out more information regarding Faro Airport by visiting http://www.ana.pt/en-US/Aeroportos/algarve/Faro/Pages/HomeFaro.aspx or calling the customer service line at +351 289 800 800. Faro Airport is located at 8001-701 Faro, Portugal.